Once you start your Cascable Pro subscription, it will automatically renew at the end of your trial period, then once per month or quarter depending on which subscription option you choose. If you’re currently in your Cascable Pro trial period and cancel your subscription, you will keep Cascable Pro features until your trial period is over. After your trial, no charges will be made and you will lose Cascable Pro features. If you pay monthly or quarterly and cancel your subscription, you will keep Cascable Pro features until the current paid-for month or quarter is over — after which no further charges will be made and you will lose Cascable Pro features. If you pay monthly or quarterly and change your subscription billing frequency, no charges will occur until the paid-for period of your subscription is over — at which point, the new billing frequency and amount will come into effect. Important: Subscriptions renew slightly before the end of the previous period. To avoid incorrect charges, you should cancel or change your subscription or trial at least one day before it’s due to renew. 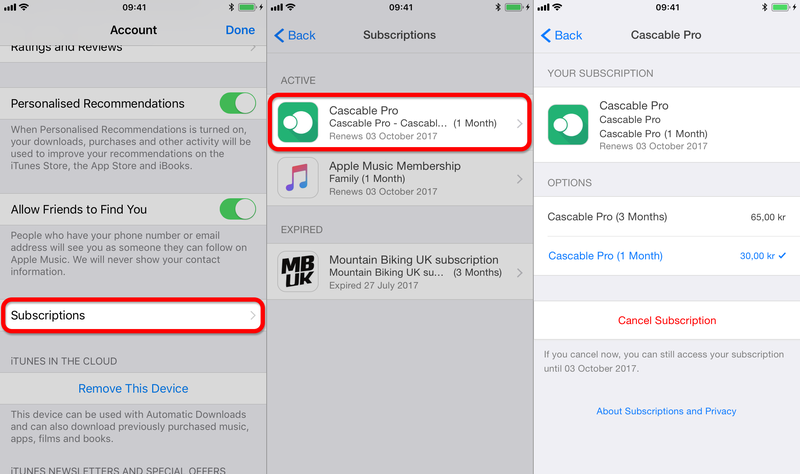 Cascable Pro subscriptions are managed through the App Store on your iOS device. 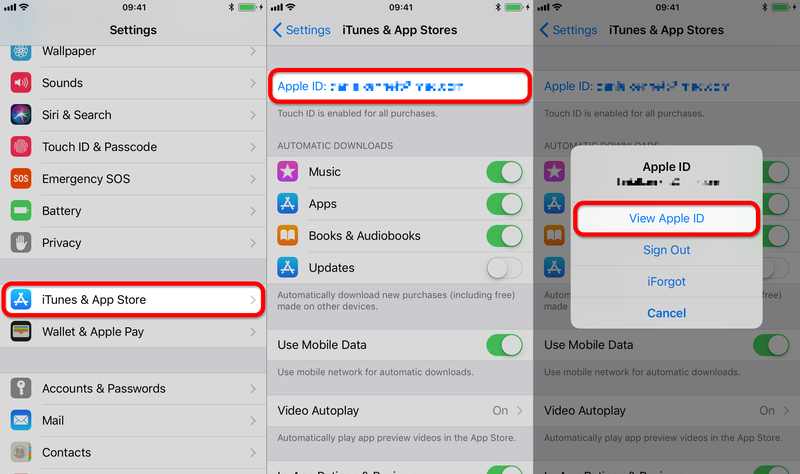 If you are viewing this page on a recent version of iOS or macOS, you should be able to access your App Store subscription management page by following this link. 1. Launch the Settings app on your iOS device, and navigate to the iTunes & App Store section. 2. Tap the Apple ID: <your email address> item, then View Apple ID. 3. After entering your password or performing Touch ID or Face ID, scroll down and tap Subscriptions. 4. Tap the Cascable Pro entry in the subscriptions list to view the management page for your Cascable Pro subscription. From this management page, you can select a new billing period or cancel your subscription entirely.